Twenty-year-old Eloise has learned all she can from the School, where characters live until joining their novels. No one knows genre and plot structure better than her, but despite her knowledge, she’s yet to be assigned to her own story. All her friends are off starting their lives with their authors—and if Eloise doesn’t get assigned soon, she’ll fade away, forgotten by all. When she is suddenly offered a job at the Recording Office, she takes the chance to write her own future. Suddenly living among the post-storied, Eloise meets Barnaby Fitzwilliam, a former romance novel hero who hasn’t lost any of his in-story charm. But just as their relationship begins to get serious, everything Eloise has been taught gets turned upside down when she’s sucked into a novel she was never meant to be part of. Now, caught where the only rules are made by the authors and truly anything is possible, Eloise must find her way back home—or else her life might end before she ever gets the chance to live it. 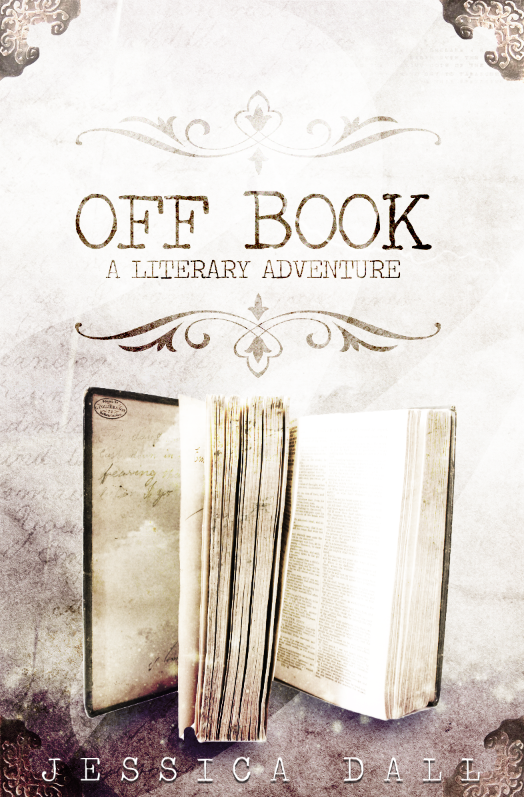 Set in a world dictated by Authors, OFF BOOK explores the story beneath the stories we all know and love, taking readers and characters alike on an adventure just waiting to be written.